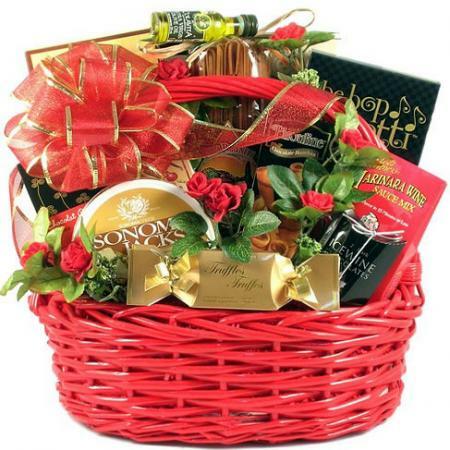 This red and white romantic gift basket is sure to be appreciated by anyone fortunate enough to receive it. 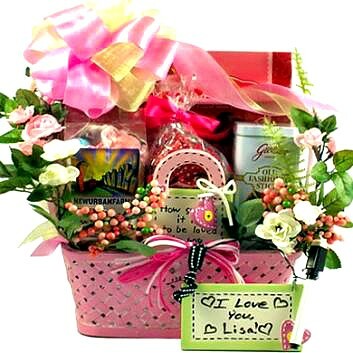 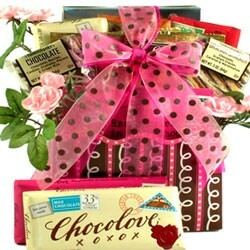 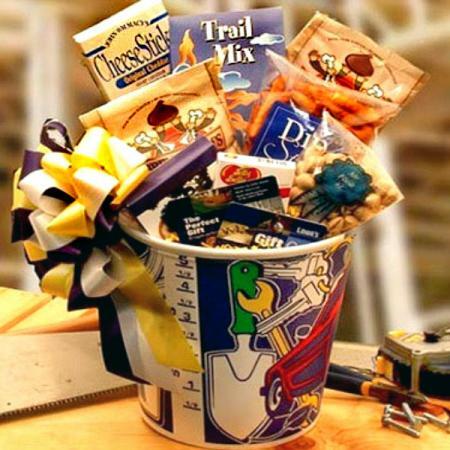 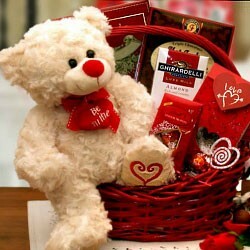 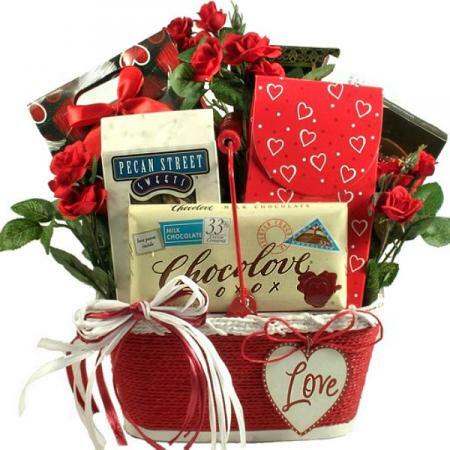 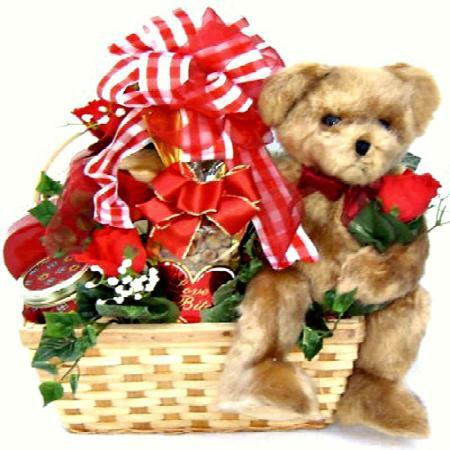 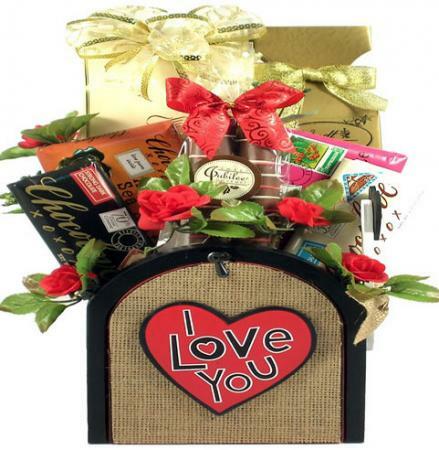 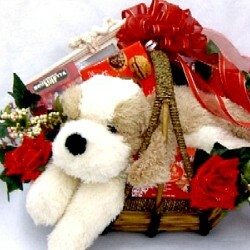 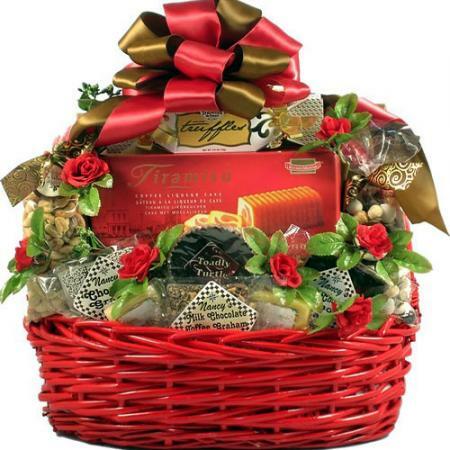 Send this beautiful gift basket to someone special and you will surely score some big romantic points. 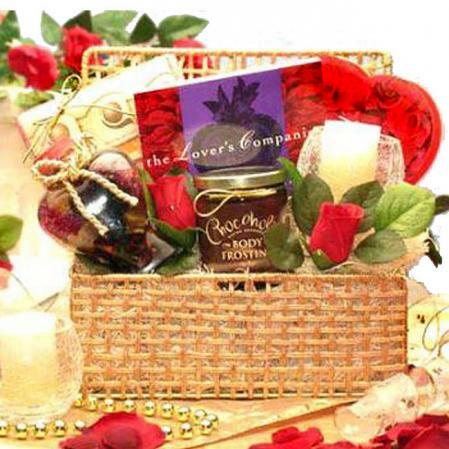 Enhance your romance and spice up your love life with a romantic gift basket designed to create special memories for couples in love.